Check out the drop down promo on our website - click to claim a 5% discount code which you can use on any hire as many times as you like! We will occasionally run promotions via Messenger too - so once you've clicked you'll be subscribed to receive these. Now you can keep all your hire history organised, download past invoices for your records and never have to complete the booking form manually again! Simply hit the Log In button on the secure booking portal page and you're in! You can access all your past hire invoices by simply clicking "Forgot Password" and enter the email address you've used to hire from us in the past. You will then get an email with your password reset instructions and you can log in as normal from there. Once you're logged in - simply click your name to access your account where you can see all past hires and change your personal details too. Reserve Equipment without Immediate Payment! Got a shoot in 2 months and want to secure the equipment but not pay out the cash up front? Now you can! Simply complete the booking as normal but now you will be presented with a reservation form (one goes to your email too) where you can click 'Pay Now" when the time is right. Simply click on your name up the top right of the page to access your account where you will see all past and future bookings. 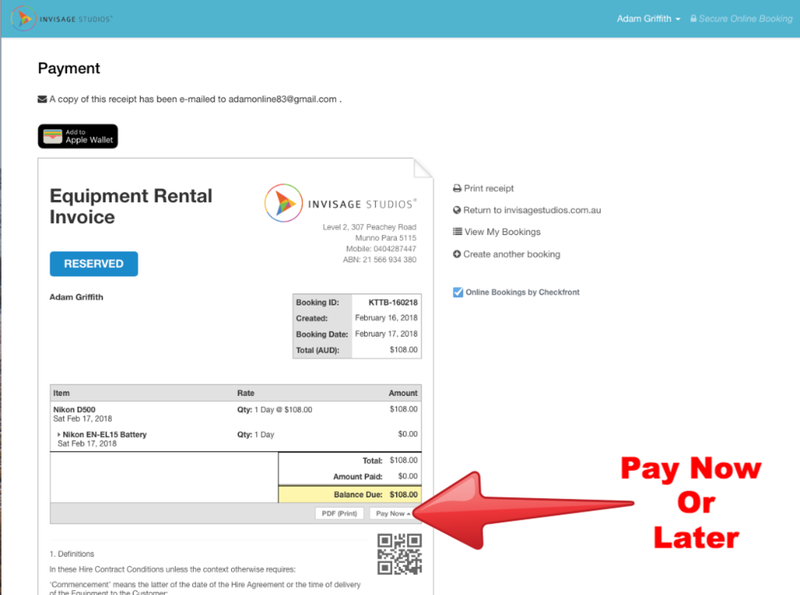 Simply click the Booking Code to edit the booking or cancel the booking if your shoot was postponed. No fees, no hassles, just simplicity and happiness. I really hope this helps improve your experience when hiring with us, if you have any suggestions or requests - please reply and let me know, I'd be more than happy to look into making it happen. Like always - delivery and pickup is always free, we're here to support you grow your business and simplify your equipment needs so you can focus on your clients. 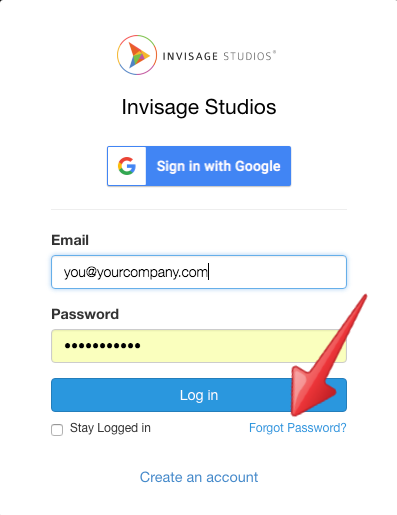 Click below to jump straight into our Login page and set up your password so you can access your invoices from past hires and take advantage of reserving equipment without immediate payment.